Xiaomi today announced Mi Note and Mi Note Pro with High end specifications. 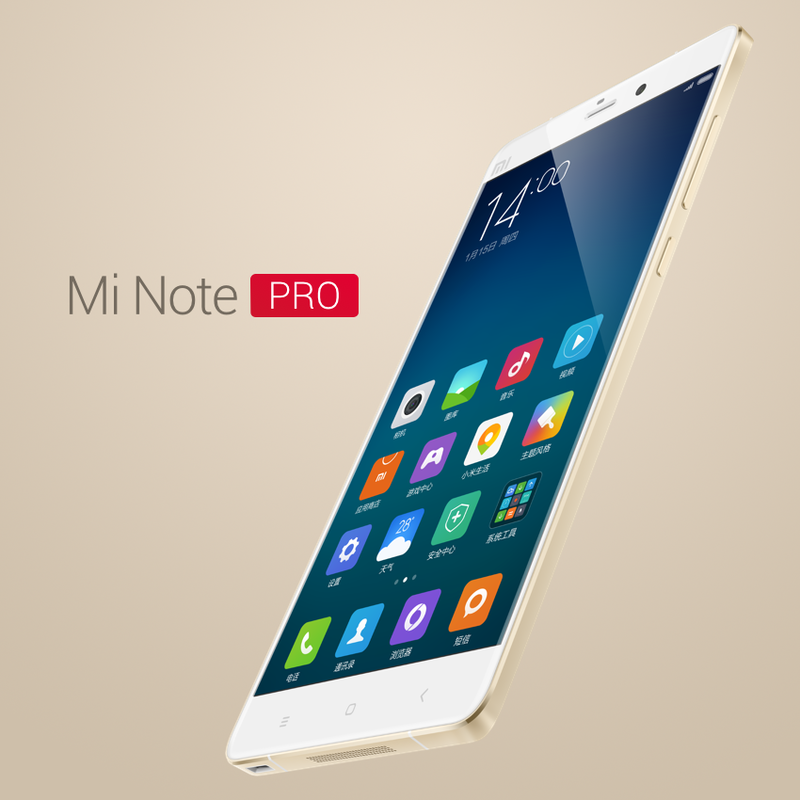 Mi Note powered by Snapdragon 801 with 3GB RAM and the Pro version powered by Snapdragon 810 with 4GB LPDDR4 RAM. Mi Note flaunts 5.7-inch full HD (1920×1080 pixels) display The device sprots a 2.5D curved glass with Gorilla Glass 3 protection on both sides. It is powered by a 2.5GHz Snapdragon 801 quad-core processor paired with Adreno 330 GPU and 3GB RAM. Also has 16GB / 64GB internal storage. The Mi Note has a 3000 mAh battery. On Photography front, It features a 13 megapixel rear camera with OIS and dual LED flash. And on the front, it has a 4 megapixel camera. Connectivity options include dual-4G SIM card slots and dual standby, 4G LTE support, Wi-Fi and Bluetooth. 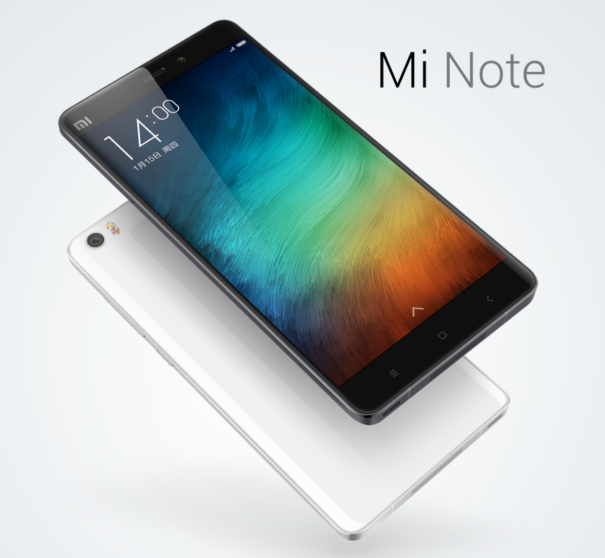 Mi Note is very slim at 6.95mm-slim body and weighs only 162 grams. Mi Note is priced at 2,299 Yuan (INR 23,000 approximately). Mi Note Pro sports 5.7-inch Quad-HD (2560x1440p) with pixel desity of 515 ppi. It is powered by Qualcomm Snapdragon 810 octa-core 64-bit processor paired with Adreno 430 and 4GB of LPDDR4 RAM. The rest of the specifications same as the Note and on conectivity front The Mi Note Pro supports LTE-CAT 9 network support with 450 Mbps download speed. Mi Note Pro priced at 3,299 Yuan (INR 32,000 approximately), and will be launched later this year.